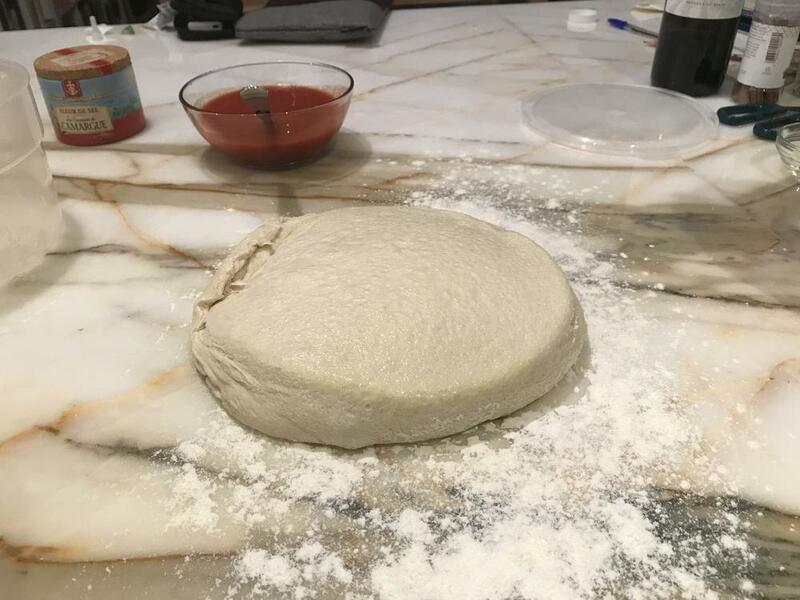 Since I found the secret to mixing: namely to mix on high enough speed to fully engage the dough hook, I have been achieving beautiful results. This was 4 minutes on KitchenAid speed 6. It's snowing like a sonofagun, and is going to 20 tonight (that's COLD down here, y'all!). I suspect, as we are incapable of dealing with snow here, there will be no church. Be assured I will be baking tomorrow. Am having pot roast tonight, which will be recycled into shredded beef with brown gravy tomorrow to go over mashed potatoes. 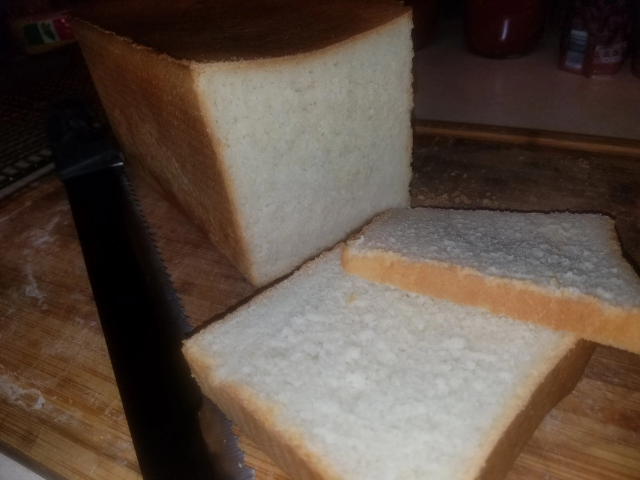 Thinking I'll make a loaf of plain white sandwich bread to make open faced hot roast beef sandwiches. With green peas on the side. I would promise to be there in time for dinner but given the snow here and temperatures in the very minuses and the snow there it doesn’t seem very likely that I’ll make it in time. Darn. 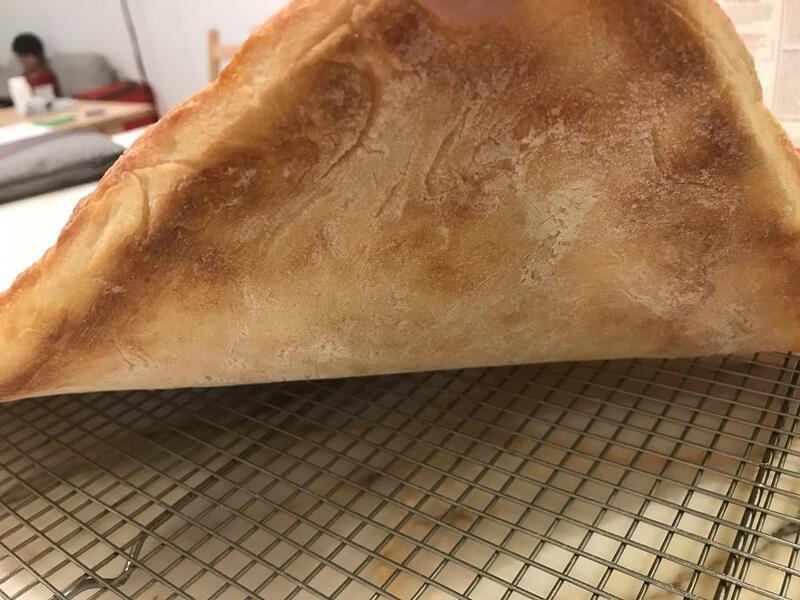 I just pulled a large pain de mei out of the oven. I shall make it expressly for you, should you ever decide to venture south for the winter. Rather reminds me of last night's eclipse. As an experiment I increased my hydration* by about 1.5% to match Modernist Bread's French Lean Bread. I found that the KitchenAid dough hook would then engage at speed 4 rather than having to use speed 6. This batch was mixed 5 minutes on speed 4. No idea yet what I shall find inside! 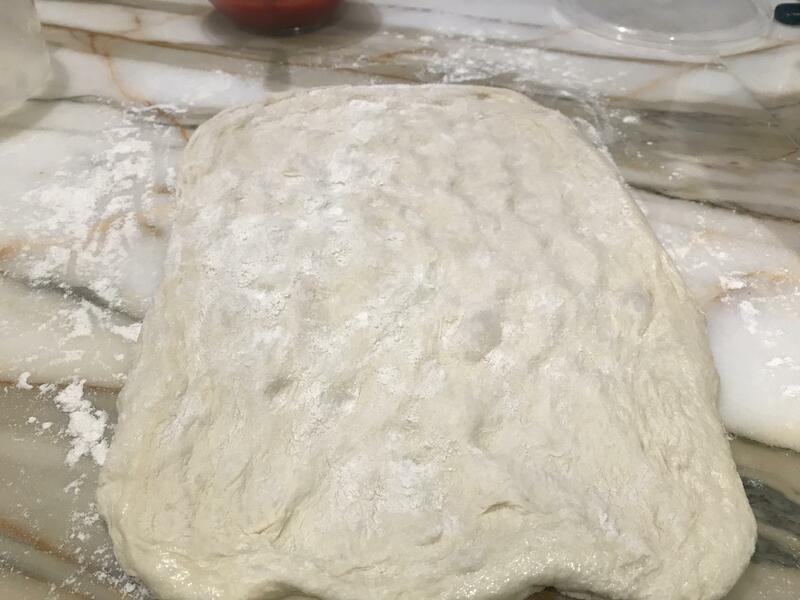 *actually the dough's hydration. My hydration is being increased by rum and peanuts. Don’t they cancel each other out? Not if you have enough. 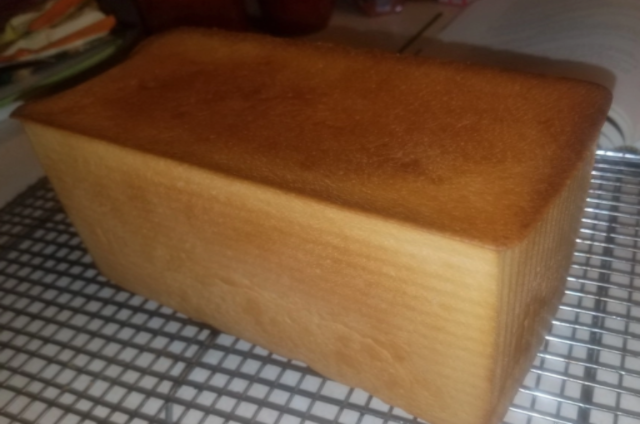 Sometime last year, I bought a little "baby" Pullman pan (only about 7 1/2 inches long, and so an excellent size for me) when I caught it on sale at Amazon. Yesterday, I decided to use it. I used the recipe from Rose Levy Berenbaum's Bread Bible. I am VERY pleased with the way it turned out. Great, soft crumb. Good, rich flavor. (I may have undersalted just a tad.) I was somewhat surprised it took 50 minutess at 425 to bake, but it was perfect at that time/temp. 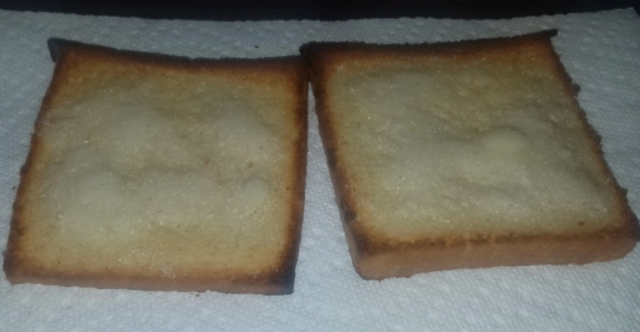 And it was marvelous for a childhood throwback treat for breakfast this morning: Cinnamon toast, sans cinnamon. Just butter and sugar. I see a Croque Madame in my immediate future. Okay, thanks to @Kayb and @ElsieD, I think I have to buy a Pullman Pan. 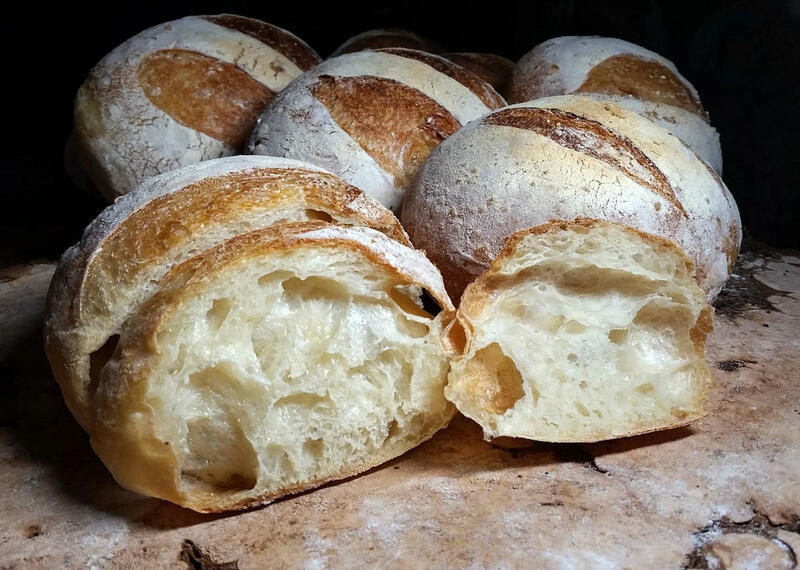 Bread was hand-mixed on Tuesday and baked today. 1000g batch at 75% hydration. Moe wanted some so I sliced one while still warm. Oh, wow, was missing @Ann_T beautiful bread! 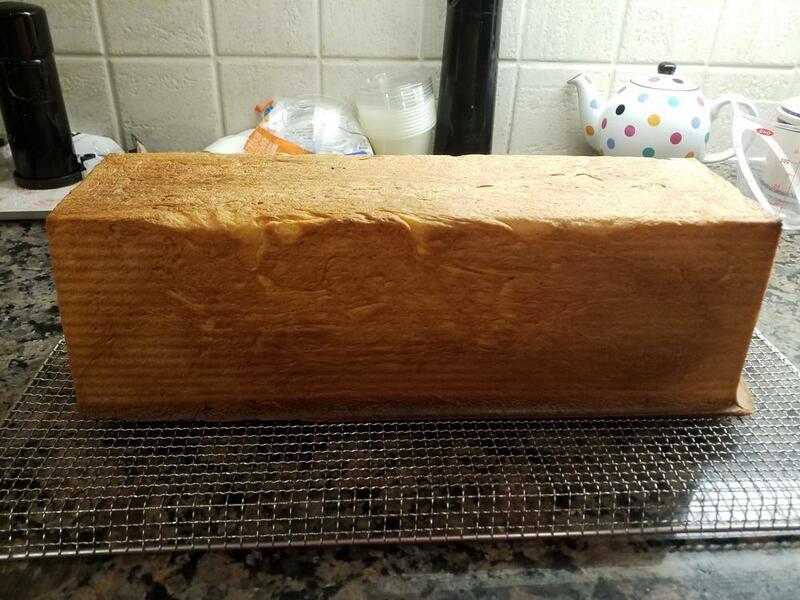 And wow, @JoNorvelleWalker huge, huge improvement to your baking! We've missed you and your baking! Thank you, guys! I also missed you very much. 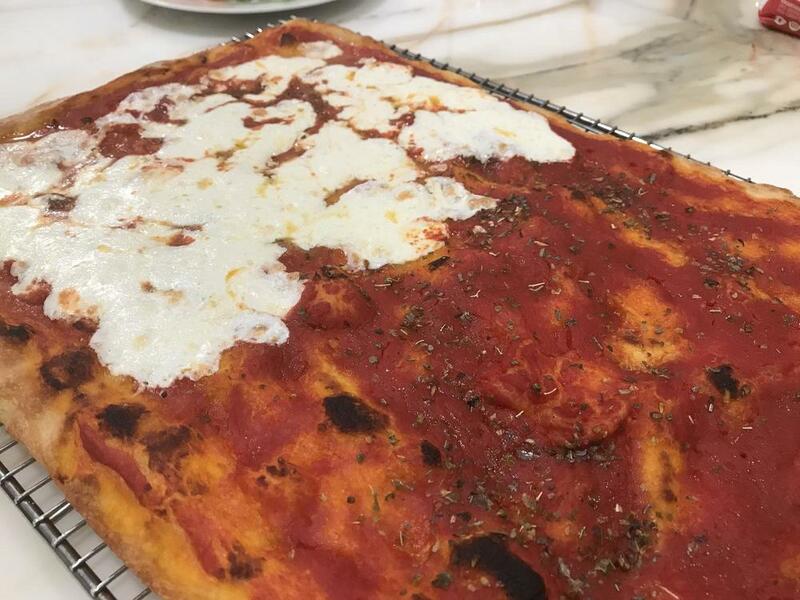 The pizza sauce looks wonderful. Do you make your own? Or is there a store brand your prefer? Welcome back! @Toliver On pizza sauce. 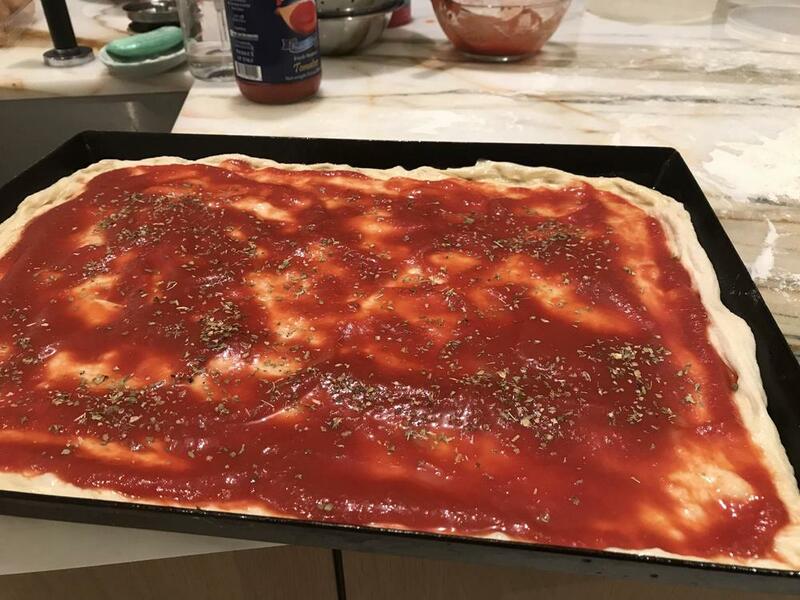 when I was working full time and commuting and had a small child I developed a quick pizza sauce. Nothin but tomato paste, water, garlic powder and Mexican oregano. It is a "pre concentrated" tomato impact. Sometimes a few drops of balsamic to level out the sweetness. @Toliver this is just passata with very little salt and olive oil, I don’t like garlic that much. If I have a choice, Mutti passata with basil it’s perfect for me on pizza. In Wholefoods in Brooklyn I was able to find it, here I’ve not nbeen able to locate it yet, the second best option I found it here it’s called Poma Rosa, it’s ok.
How are you???? Missed you so much Are you settled in your new home now? Thank you both! I appreciate it. I have missed your contributions too. lovely looking pie to boot! 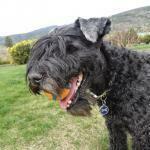 i would also have add @sartoric to the welcome wagon...posting more often recently. both of you add so much to our forum. Meanwhile, more pizzas please ! Have to chime in and say Welcome back to @Franci! Your wonderful food has been missed and so have YOU! 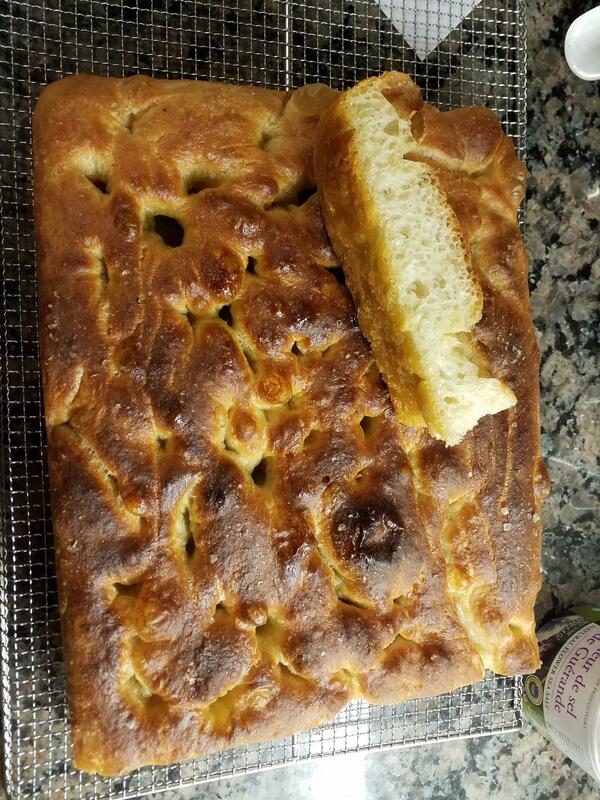 Made focaccia today using biga. Made a nice loaf of Cinnamon Raisin Bread (KAF recipe) today. Looking forward to toast for breakfast. A super slow riser even using SAF Gold for sweetened doughs.